FS2002 Star Wars Naboo Fighter model with R2 droid & naboo pilot. Version 1. 1 Visibility bug corrected Updated textures with metal reflection, canopy animation Air and cfg file optimised contact Pascal Deleporte pascal. deleporte_at_wanadoo . fr Have a nice fligt over Coruscan city May the force be with you! Bonjour de france !!!! 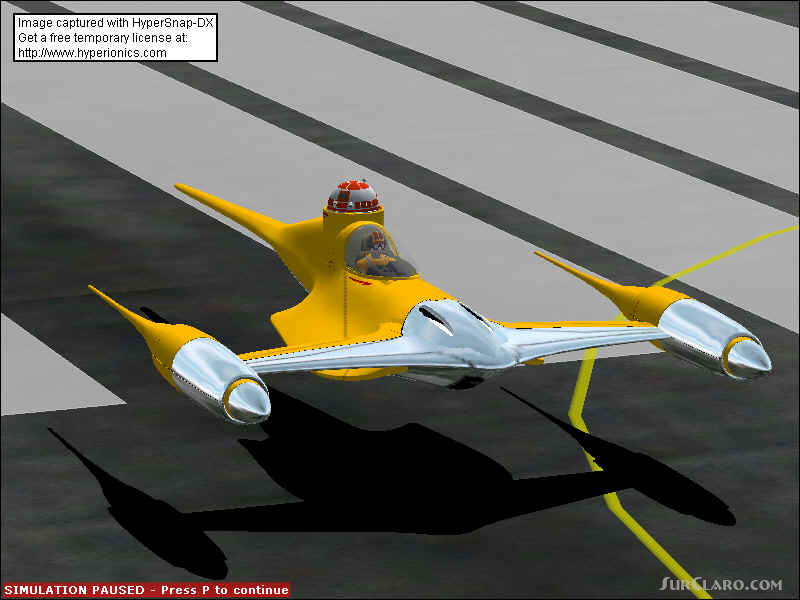 FS2002 Star Wars Naboo Fighter model with R2 droid & naboo. Rating: 6.80 of 10 over a total of 5 reviews. I m quite tired on the 747 panel.